Not open to the public, except on rare occasions such as the Florence 150th Birthday Bash (2004), in which the house played home to the Mitchell family, specifically Eliza Mitchell, wife to James Comly Mitchell, the founder of Florence. 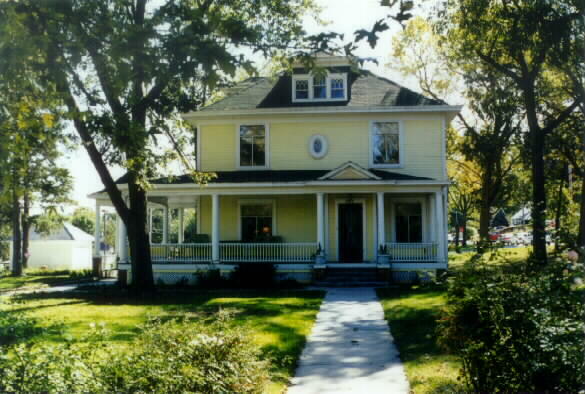 The home was designated as an Omaha landmark (July 15, 1997). It was inhabited by only one family since its construction in 1905 until it was sold ca. 2005. The Keirle family were immigrants from England. Mr. Charles Keirle started out in a smaller residence on lower State Street when he was a partner with a Mr. Brown in the meat business. Their store was at 30th and Tucker. The back pasture held the cattle for future use. When Mr. Brown bought him out, he started the Keirle Ice Company. More ice was shipped from the Florence depot than anywhere else in the entire Midwest. The ice was cut from the Missouri River in winter and stored in sawdust at the Ice Company. Ice was also cut from the settling basins, which also provided the town's water supply. Since the ice was clearer in the settling basins, ice was a penny more per pound. The settling basins make up part of the American Water Works, now part of the Municipal Utilities District (M.U.D.). 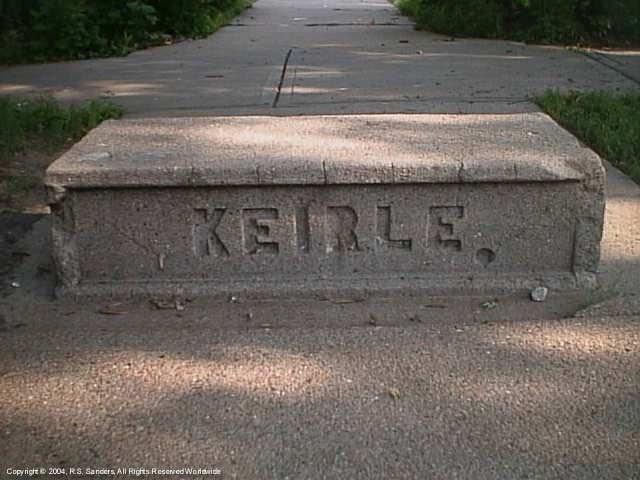 In 1905, Mr. Keirle was a wealthy man when he constructed the new home for his family of four. The large four bedroom square Queen Anne home featured a wrap-around porch, with a porte-co-chère, so carriage passengers could be discharged without regard for the weather. The street in front had a mounting block and horse posts to tie up rider's horses. The home had both gas and electricity, a very modern feature in 1905. Next to the carriage house to the east was a pasture where the family horses and cows could roam. This area also had a small chicken coop, and pen for the pigs. As times changed, so did the family plot layout. The barn was converted into a house and another house moved into the property on Grebe Street. The pasture along 30th Street was made into a miniature golf course run by the family in the 1930s. It was sold in the 1950s and St. Philip Neri Church was built on the property. Charles' daughter Maude lived in the family home until her death in 1994. Neither Maude nor her brother Clifford, an Engineer, ever married. Maude was the last resident of Florence born before 1900, and so had many wonderful stories. The house was willed to the Florence Historical Foundation upon Maude's death. It has been completely restored inside and out. Presently, Uta Hallee occupies the property as office space, and it is not open to the public for viewing. During the annual Florence Days celebration in the past, the Keirle House lawn hosted the beer garden. Since the home is now privately owned, and the beer garden has been discontinued, it is no more. The story of "Florence Ice" continues with our Florence Ice Era photos in the "Photos of a bygone era" section.